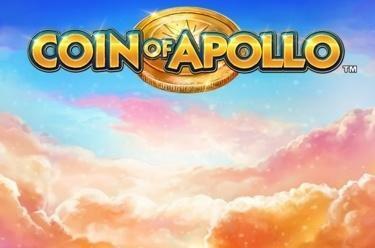 Play Coin of Apollo™ online for free now! In the slot Coin of Apollo™ you can meet Apollo, one of the Olympic gods, on 5 reels with up to 20 pay lines. Apollo himself is the most lucrative symbol and grants you the highest winnings. Your aim in Coin of Apollo™ is to line up 5 matching winning symbols on one of 20 pay lines that all run from left to right across the reel set. 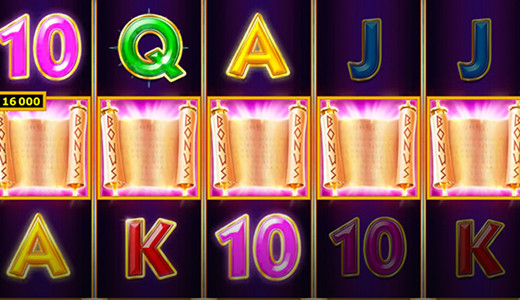 You can collect divine winnings with the scroll symbol because it has two features: It acts as Wild symbol and substitutes for all symbols except for the coin of Apollo and as Scatter symbol it triggers 10 free games when it lands at least 3 times in any position on the reels. Once you activate the coin of Apollo it acts as a further Wild symbol that substitutes for each slot symbol on reels 2 and 4. Prior to the start of the 10 free games one symbol from all symbols – except for the scroll and the coin of Apollo – is randomly selected as Bonus symbol. During the free games it can expand to all positions of the reel it lands on; it pays out like a regular symbol but also on non-adjacent reels. Risk it all! How? Easy: when all 20 pay lines are active you can start the Extra-Bet. For this, click on the coin symbol at the top right of the game. Now the Coin-of-Apollo-Feature is activated: Golden coins that act as additional Wild symbols might land on reels 2 and 4 now. And the best part is: They substitute for all symbols of the slot, even the scroll and the Bonus symbol in the free games! He is the god of gods: Apollo. He is a fine specimen of a man, adored by women, musically and poetically gifted, well versed in the art of healing, an excellent archer – in short, a man who has it all. Now he even has his very own slot Coin of Apollo™. And as befits a divine slot machine it comes with a very special feature: If you activate the coin of Apollo your winning chances rise to Olympic heights!